These Removal boxes are ideal for most of the items Whether moving home or office. We provide removal kit assortments so you can shift your belongings easily and conveniently. They are very popular among removal companies and house movers. The moving kits are mixture of single and double wall Removal boxes. 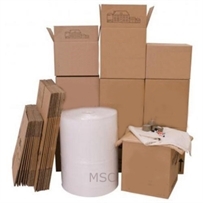 For easy moving all our moving kits have assortments of bubble wrap, refuse sacks, acid free tissue paper, tapes and marker pens These moving removal boxes are suitable for general household goods, clothes and other items. The sets are available in different sizes.